Cape Town has the highest number of people who are a healthy weight, plus they purchase the most vegetables and fruit, when compared with South Africa’s other major cities. The World Health Organization estimates that 380 million people could have diabetes by 2025. Discovery Vitality, Woolworths and Prue Leith Chefs Academy are on a mission to get people back into the kitchen. 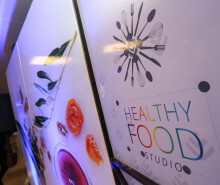 The newly launched HealthyFood Studio is a fully equipped, state-of-the-art culinary studio based in Sandton, where classes deal various aspects of nutritious cooking. 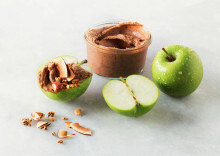 These are taught and demonstrated by a Prue Leith professional, using fresh ingredients from Woolworths. The Planetary Health report, released by Discovery in Johannesburg and simultaneously in Manila, New York and London on 16 July, provides the first comprehensive evidence showing how unprecedented environmental degradation is jeopardising the health of future generations. Amongst dieticians, ‘supersize’ is fast becoming a swear word. The fact is that we’re eating much more these days than we were even 30 years ago. In the 90s, for instance, soda manufacturers started to make soda bottles that more than doubled in size. Soda bottle size continued to increase in size until they’d grown to more than 18 times the size of the original bottles. ​The time to halt childhood obesity is now! 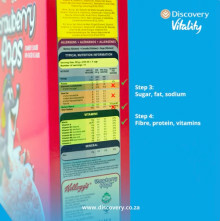 Understanding food labels is critical to healthy eating. How healthy are South Africa’s kids? According to Health Active Kids South Africa (HAKSA), a nationwide report compiled by Discovery Vitality on the health of the country’s children showed that our kids aren’t as healthy as they should be. Discovery Vitality is introducing a fun, new way to teach your kids – and yourself – about how to incorporate healthy habits into your lifestyles. 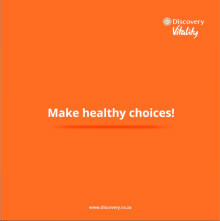 Using an easy-to-use social media platform called Vine, Discovery Vitality is running the Grow Up Fit SA campaign: every day in June we will release a six-second video and snippet to show you how just how simple and enjoyable it is to ‘Grow Up Fit’! Discovery has announced the line-up of prominent international and local speakers that will be joining this year’s Discovery Vitality Summit, to be held on 1 August at the Sandton Convention Centre in Johannesburg.